The Baule tribe is one of the most important tribes in Ivory Coast. Ethymologically the name can be traced back to a legend of Queen Aba Pokou who led her people in a migration to goldmine areas in the 18th Century and had to sacrifice her son to the river God after which the tribe was named Bauli which means ”the son is dead”. The figures have the purpose of incarnating spirits from the transcendent world. 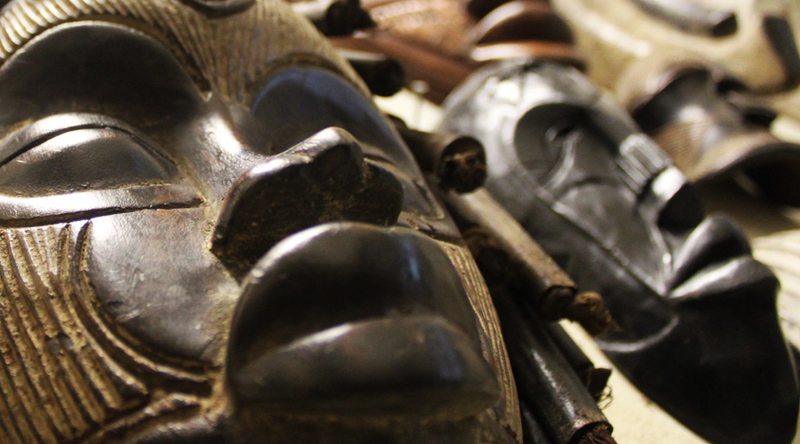 The Baule population produces some of the most elegant African art. Their figures are up to 60 cm high and are recognised by their longish necks and detailed coiffures. The figures materialise spirits. Their masks can be separated into 3 types: helmet mask looking like a buffalo, a mask looking like a human face and masks to be used at the Goli festival celebrating the harvest.